This post is sponsored by Betty Crocker. Opinions are my own. One of my favorite parts of the holiday season has always been baking with my mom. 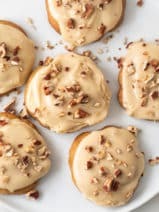 Now that I am a mother, I love that the kids are old enough to help make cookies with me, and we got started on the cookie-fun over the weekend using a few of my favorite mixes from Betty Crocker. 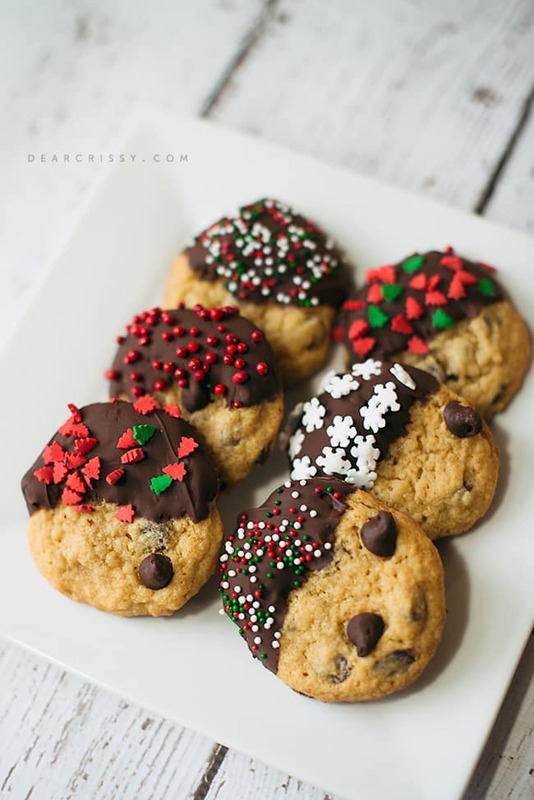 First up were these easy-to-make chocolate chip Christmas cookies. Aren’t they cute? I got the recipe on Betty Crocker’s Kids Cookie Corner. 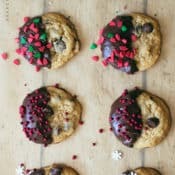 Betty Crocker’s Chocolate Chip Cookies are yummy on their own, but we dipped them in some melted chocolate and then I let the kids add the holiday sprinkles of their choice. Here is a fun video with more information about these cookies. We ended up with some really cute and festive Christmas cookies and the kids were really proud of their contributions to the finished products. That’s really what I love most about Betty Crocker cookies. I get to focus on that time with the children instead of trying to follow a really complicated recipe. These moments that we share with our families during the holidays are the ones that we’ll look back on and treasure for a lifetime! We also made some sugar cookies and Kara loved pressing out the shapes. The sugar cookies turned out absolutely perfect as well, I’ll have to share some photos of those soon! Yum! 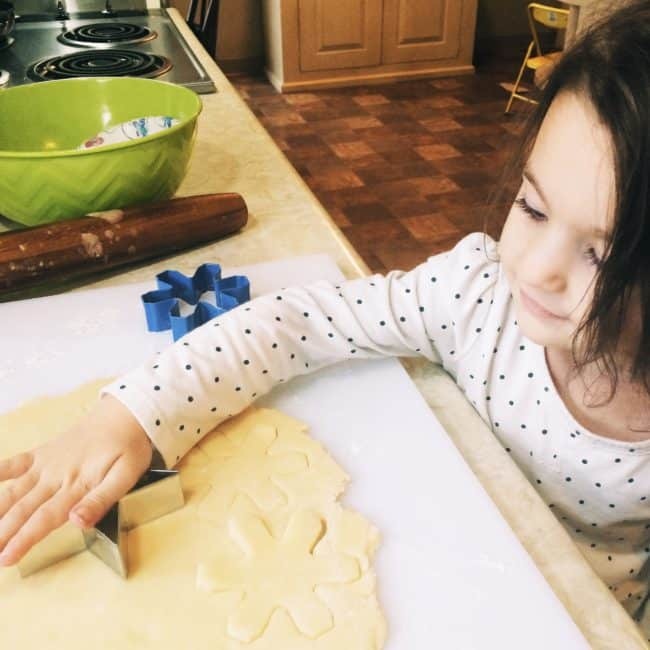 I’ve been rounding up some of my favorite holiday cookie ideas that you can make with your kids, all inspired by Betty Crocker! Be sure to follow my board and #GetYourBettyOn this holiday season. 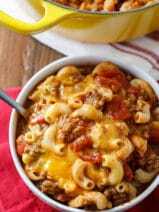 You can also follow Betty Crocker on Twitter, FB and YouTube. Follow Crissy Page ‘s board Cookies with Kids #GetYourBettyOn on Pinterest. 1. Make cookies as directed on pouch; cool completely. 2. In small microwavable bowl, microwave 1/2 to 1 cup of the chips at a time (as needed), uncovered on Medium (50%) 2 to 3 minutes, stirring once, until chips can be stirred smooth. 3. Carefully dip each cookie halfway into melted chips; wipe off excess. 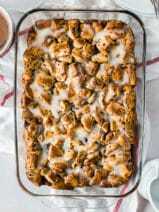 Place on cooking parchment paper-lined tray; sprinkle with desired candies. Let stand until coating is firm, about 1 hour. Oh, those look lovely! They look like they can be given away as gifts too! That is a great way of updating chocolate chip cookies for Christmas. 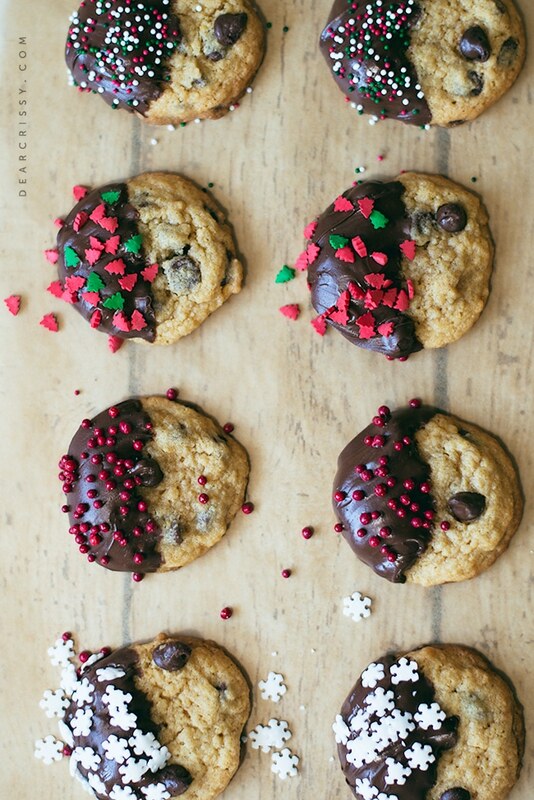 We always include chocolate chip cookies in our Christmas baking, but they never look this festive. I am going to try it this year. Thanks!